Ida Madieha bt. 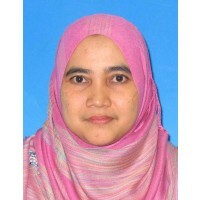 Abdul Ghani Azmi obtained her LLB from IIUM, LLM from University of Cambridge and Ph.D from University of London (1995). Dr. Ida has authored 10 books and more than 60 articles on various issues on Intellectual Property and Cyberlaw and presented more than 70 papers in local and international conference. She is currently a Professor at the Ahmad Ibrahim Kulliyyah of Laws. Dr. Ida has had the experience of researching on many areas of IP, cyberlaw and biotechnology law. Among the national grants are: Deciphering the Wikileaks Saga: Exploring the Legal, Policy and Information S ... show more ecurity Role and Challenges in Protecting and Securing Malaysiaa? ?s Critical Information Infrastructure (CII) Against Data Leak (ERGS 2011-2013); Legal Framework for the Protection of Traditional Cultural Expressions: Balancing Human Rights, Conservation and Proprietary Interest (FRGS 2012-2015); Kajian dan Semakan Kursus Undang-undang, (MOHE, Oct 2005- Jan 2006) and Copyright and Access to Knowledge (Consumer International, September 2007-January 2008); A Review of the Patents Act with Special Emphasis on Transfer of Green Technologies Provisions (JPUUM, November (2012); Kajian Halatuju Pendidikan Undang-undang, Ministry of Higher Education (2013). Status of Left Over Embryos in Malaysia: An Ethico-Legal Enquiry, (RAGS (2013-2015); A study of Legal Issues Related to Blog Businesses in Malaysia: A Proposal for a Regulatory Framework in Malaysia, RAGS, (2013-2015); Security Offences Law Vis A Vis Right to Privacy in Malaysia: Guidelines for Reconciliation and Enforcement (FRGS 2013-2015); Legal and Administrative Requirement in Shariah Compliant Hospitality Services (NRGS 2013-2015), Establishing Legal and Economic Framework to Protect Malaysian Copyright Based Industries From the Possible Negative "Effects" of the Proposed Trans-Pacific Partnership Agreement (FRGS 2015), Establishing An Effective Legal Framework for Corporate Mergers and Acquisitions in Malaysia Post TPP and AEC Era (FRGS 2016) and Legal Framework To Regulate Nutraceuticals, Herbal Medicines and health Supplements in Malaysia (FRGS 2016). The international research projects include: The Economic Impact of Intellectual Property System (WIPO-JPO-UNU Research Project, December 2006- June 2007); Patents, Stem Cells and Ethics (Association of Commonwealth University, September 2006-March 2007) and Drafting of IP Curriculum and Syllabus in Bangladesh, WIPO (2014) Dr Ida has had a short stint as a member of the Board of the Malaysian Intellectual Property Office (MyIPO) (2004-2008). A big supporter of law reform, Dr. Ida has been involved copyright committee reforms in Malaysia since 1999. She is also the former Deputy Director of the Malaysian Copyright Tribunal (2014-2016). She also has had the experience of mediating disputes by serving as a Domain Name Panelist with the Kuala Lumpur Arbitration Centre. In terms of training programs, Dr Ida has conducted training programs organized by the Intellectual Property Training Centre and ILKAB and the resource person for the WTO Regional Trade Policy Program for Asia Pacific (2008-2011). She has also act as a resource person to WIPO/WTO IP Colloquium for IP Teachers and Researchers in Asia (2017) and consultant to WIPO in a number of mission. At the international level, Dr. Ida is the executive committee member of the Association of Teachers and Researchers on Intellectual Property (ATRIP). 2012 - 2015 Legal Framework for the Protection of Traditonal Cultural Expression: Balancing Human Rights, Conservation and Proprietary Interest? 2006 - 2009 Research on Biotechnology in Malaysia: Is there A Need for Regulatory Framework? 2004 - 2007 Original Title: Collateralization of Intellectual property in the Malaysian Conventional and Islamic Banking System: A Comparative Analysis New Title: Legal Impediments to the Collateralization?.